As the capital city of World Whisky Day, Edinburgh didn’t disappoint during this year’s celebration. Events took place the length, breadth, height and depth of the city, inviting thousands to share in the enjoyment of our namesake spirit. Horizontal rain in the morning didn’t deter the dozens of climbers keen to summit Edinburgh’s number one tourist attraction, Arthur’s Seat. With an elevation of over 250 metres it was the last place they were expecting to find a mobile ‘human bar’ serving up a selection of world whiskies and traditional snacks to mark the occasion. Even those climbers who felt it was too early in the day for straight whisky were catered for, the trig point having been converted into a cocktail dispensing station. The cocktail du jour was The Oak Tea, the World Whisky Day 2017 signature serve combining Woodford Reserve Double Oaked bourbon, moroccan mint tea, honey and lemon, served over ice. Below ground meanwhile, city goers were journeying through shadowy closes and haunted wynds deep into the Blair Street Vaults, courtesy of Mercat Tours. Afterwards, they retired to the famous Megget’s Cellar for a candlelit whisky tasting. Further up the Royal Mile, the Scotch Whisky Experience was welcoming scores of whisky enthusiasts and curious beginners alike. Visitors were treated to a special tour dedicated to the art of blending, tours of the renowned Diageo Claive Vidiz Collection and drams in the Amber Restaurant & Whisky Bar. Likewise, The Scotch Malt Whisky Society was celebrating the day with multiple events across the city. Guests could enjoy pairing whisky and steak for lunch, learn how to pair beer and whisky and get to know whisky cocktails – all from the comfort of The Vaults and the Kaleidoscope Whisky Bar. 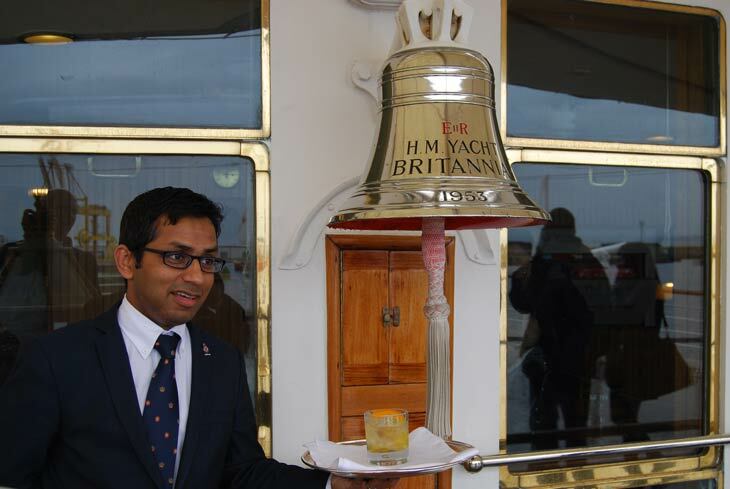 Down at the Leith shore, the Royal Yacht Britannia was marking the day on its Royal Deck Tea Room with whisky and cocktails for all. Official World Whisky Day 2017 Ambassador, Aly Mathers, was welcomed aboard with a classic Rusty Nail. Eventually, the entire World Whisky Day team assembled at The Pitt, an industrial yard turned street food and drink market, for the Global Headquarters Party. There were eight stands serving up mouth-watering food, Barney’s Beer bar and whiskies from The Pop-Up Cocktail Kitchen. 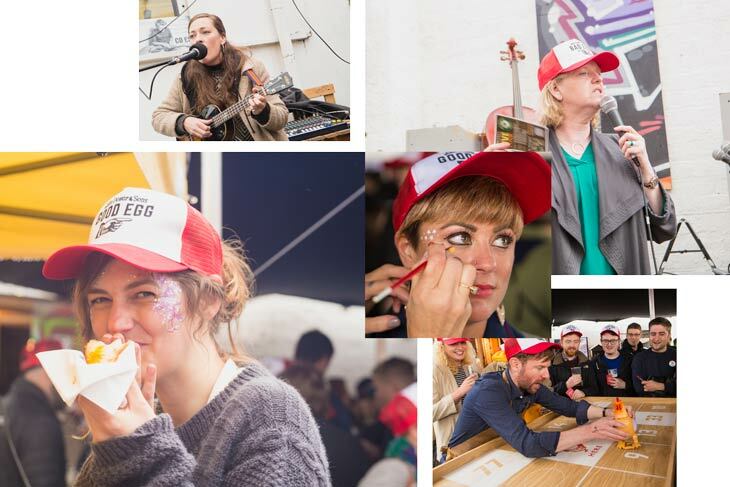 The Dewar’s Scotch Egg Club bar was also set up, providing superb whiskies and artisan scotch eggs – as well as a chance to play ‘chicken bingo’. Live music was performed by The Coaltown Daisies while local comedian JoJo Sutherland entertained all with her roving comedy antics. 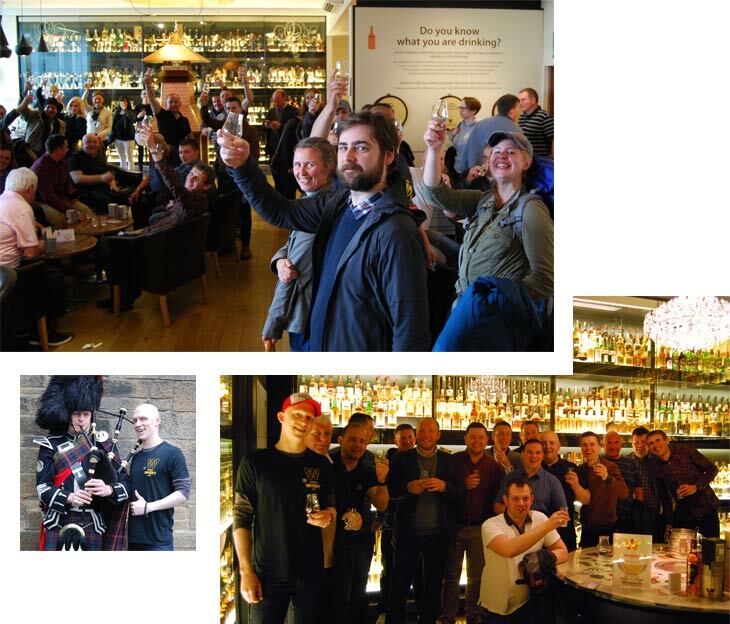 Whisky hoopla, free copies of drinks magazine Hot Rum Cow, a chance to meet World Whisky Day Founder, Blair Bowman, and a final visit from the human bar topped off the evening. Now in its sixth year, World Whisky Day was celebrated in almost 50 different countries around the world. Edinburgh might have been the day’s capital, but countless other cities marked the day in as many different ways. Over 25,000 people took part globally. Thanks to all who took part, and remember to get the date in the diary for next year’s celebration: Saturday 19 May.